Some notes on growing a food-producing, low-maintenance and sustainable forest garden in the UK. The development of the garden from April 2011 to October 2015. I've always been interested in sustainable ways of growing food. Ever since I read Forest Gardening by Robert Hart I've had idle thoughts about planting a small orchard in my back garden. I've dabbled here and there but when I moved into my new house in 2008 I decided to start planning. After a lot of head scratching and preparation I planted the first trees that winter. 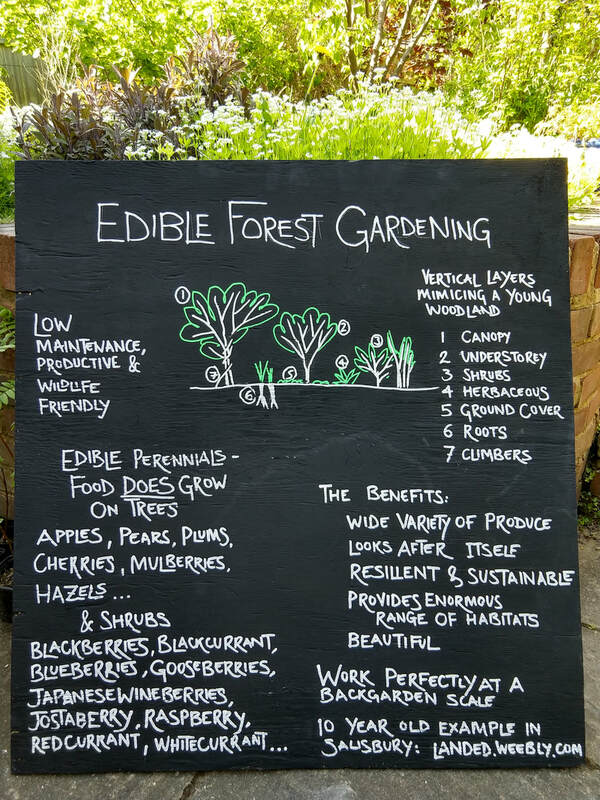 The edible forest garden is based on permaculture principles and is modelled on a natural woodland, but on a smaller scale. You can read more about forest gardening principles here. Some of the characteristic features of this garden are the shallow chalk soil and the backgarden scale. 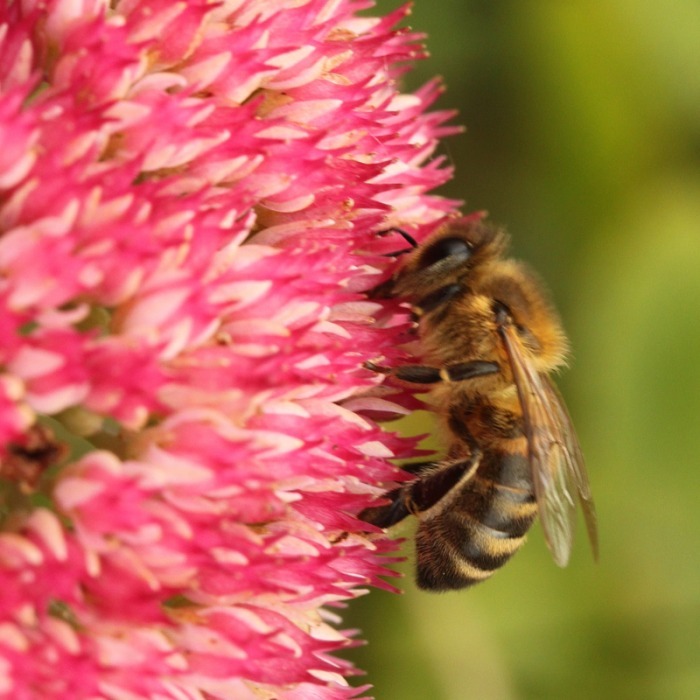 The aim of this website is to document how the garden develops, share experience and designs and to provide some links to sources of information to help anyone else interested in doing something similar. 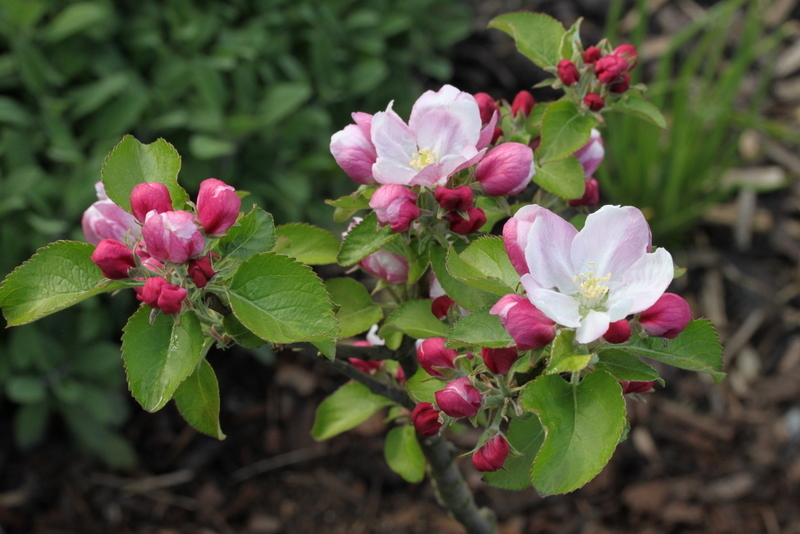 Beautifully coloured Annie Elizabeth apple blossom in spring. Agriculture makes me nervous. It's the thought that most of the food we buy in the shops requires a large amount of energy to plant, tend, harvest and transport because it is grown on a large scale and at some distance from the consumer. Whilst I'm not interested in being entirely self-sufficient, I would like to be able to make use of the space that I have to grow a variety of food in a way that requires minimal amount of effort, is sustainable, reduces my need to buy food in and enhances my local environment. 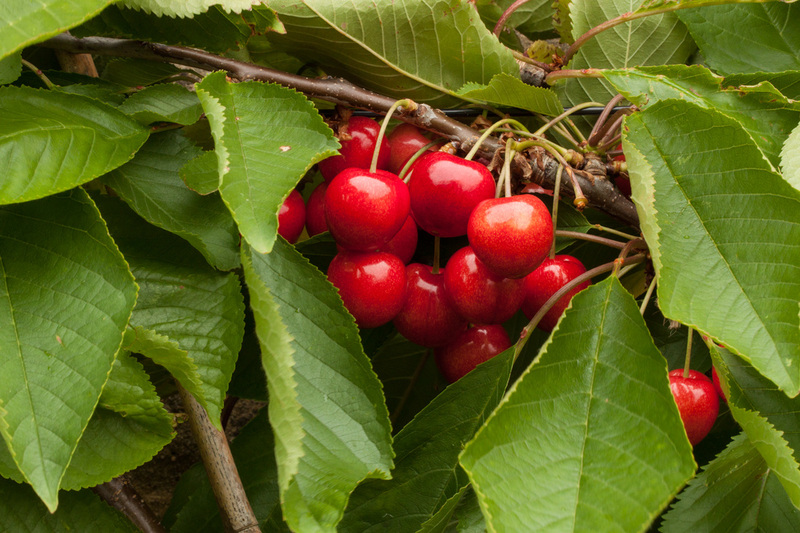 You can read more about why creating edible forest gardens offers a much brighter future here. 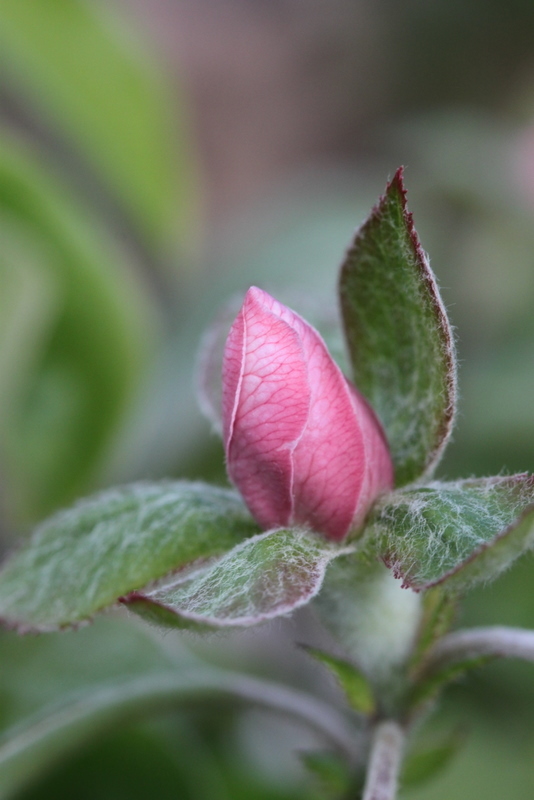 Quince blossom, ready to open in Spring. The garden is in Wiltshire in the United Kingdom. The climate is temperate and in hardiness zone 8 (based on this map and recent experience) and the AHS heat zone is probably 2 (based on the UK value given here). The back garden faces north but is on a south facing slope. The soil is pretty shallow over chalk and drains very quickly. It is fairly high up so gets some strong winds sometimes. Both features make the garden less than perfect for growing fruit, but there are some established apple trees nearby so I know it's possible to grow fruit in the area. 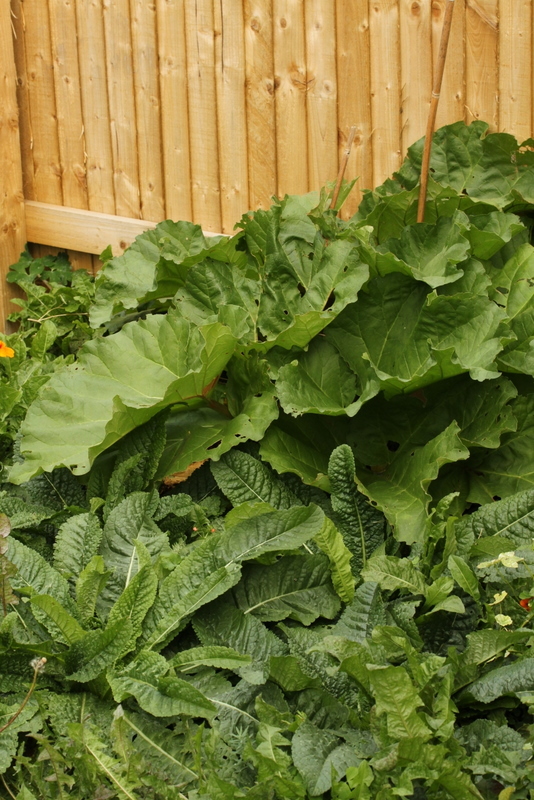 There is a 2.5m high, west facing wall halfway up the garden and most of the rest of the garden boundary is fenced. When we moved into the house the garden had lots of mature shrubs and trees, some timber decking and some lawn. There was a pear tree halfway up the garden and an old half-standard apple tree at the end. The were several other trees: a massive Leylandii in the middle and a group at the end of the garden, a tall bay tree, a couple of holly trees and a buddleia. There were lots of shrubs and some edible perennials like raspberries and rhubarb. The garden has to fulfil several requirements. We have young children so the garden has to have room for them to play in. That means a reasonable space for a lawn and a climbing frame, at least whilst they are young. Later on as the trees grow some of these areas can be planted. It has to have room to sit out in and also provide some shade and somewhere to eat in the summer. One of the main requirements is that the garden should yield a variety of edible produce, particularly fruit, and reduce our impact on the environment through reducing the amount of food we buy. It would be good if it provided unusual foods as well that would extend our diet. It should be self-sustaining and should provide a wide range of habitats for wildlife. Ideally it should also be low maintenance, able to be looked after during evenings and weekends. We moved into the house in spring and spent most of the summer planning the garden. The design was based around apple trees as the main top fruit in a variety of sizes. Two standards were planned to cover the middle part of the garden and two smaller trees, one at the front and one to the side. As well as the apples, the plan included pears, quince, a sweet and a sour cherry and a mulberry. Three filberts/cobnuts were included too as we had never seen any squirrels nearby (although one appeared the same week that we ordered the trees!). 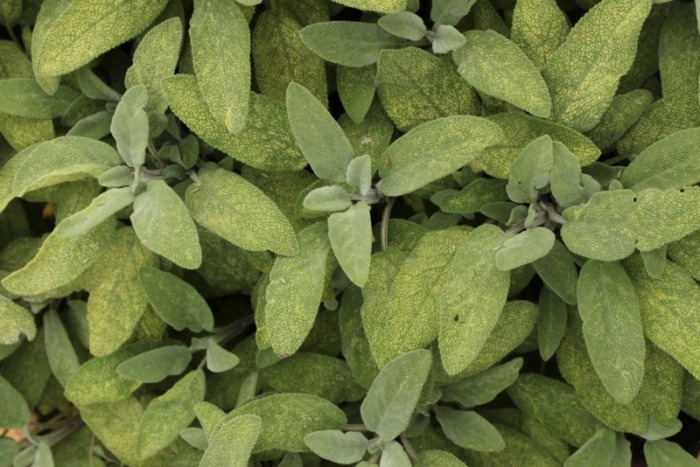 Choosing varieties was tricky and involved a certain amount of bookwork, guesswork and trawling through catalogues. There were some trees that I couldn't track down that will have to wait for future years. The resources listed here came in really useful. Details of the garden plan and the list of plants is here. During the summer we took out several of the established non-edible trees and shrubs that were taking up a lot of space. We kept the holly and the Leylandii at the end for shelter. For most of trees we removed we dug out the roots with a mattock to leave as much useable space as possible. We shredded the small stuff for mulch and kept the rest for firewood for our small wood-burner. The garden already has some hard landscaping and we left most of this as it was. We took down some decking and recycled it into some raised vegetable beds and moved a small pond to make room for the raised beds. The main planting was made up of trees and soft fruit and these were ordered in the autumn and planted in the winter in January 2009. The soil was improved with compost during the planting, but was still quite shallow and chalky. A detailed plan of the trees and shrubs in the garden is here and notes on planting the trees are here. You can read about the development of the garden here. It is beginning to live up to its potential. 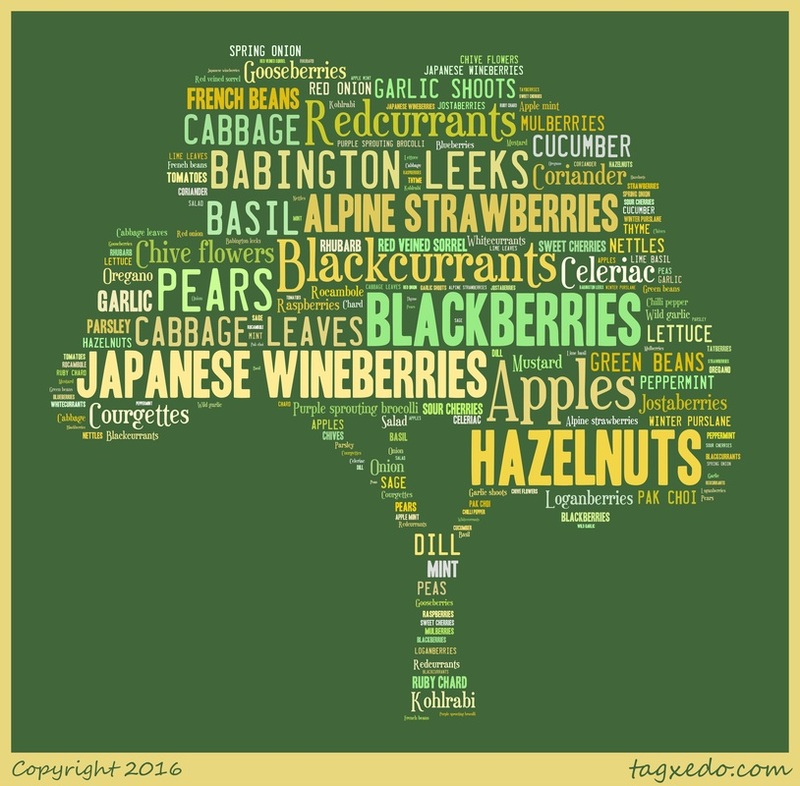 The image below shows some of the variety of produce from the garden in 2015. If you are interested in the numbers and the details of how much of what and when you can see it all here. Forest garden produce from 2015. Total weight 166 kg.